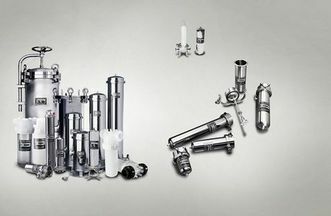 Unicus Water Solutions Stainless Steel Multi-Cartridge Housings incorporate the highest quality components and exceed industry performance standards. Constructed of heavy duty 304L or 316L stainless steel with either a clamp for low pressure, or a swing-bolt-style closure for high pressure, these housings are the perfect choice for a wide range of flow rates and are suitable for both light duty and heavy industrial applications. Available with either threaded pipe or flange port connections to fit your specific needs, the custom internals can be made to accept any cartridge: double-open-ended style (DOE), single-open-ended style (SOE), 222/Flat (SOE), 222/Fin (SOE), 226/Flat (SOE), and 226/Fin (SOE). Stainless Steel Multi-Cartridge Housings also have the flexibility to fit various commercial and industrial applications.